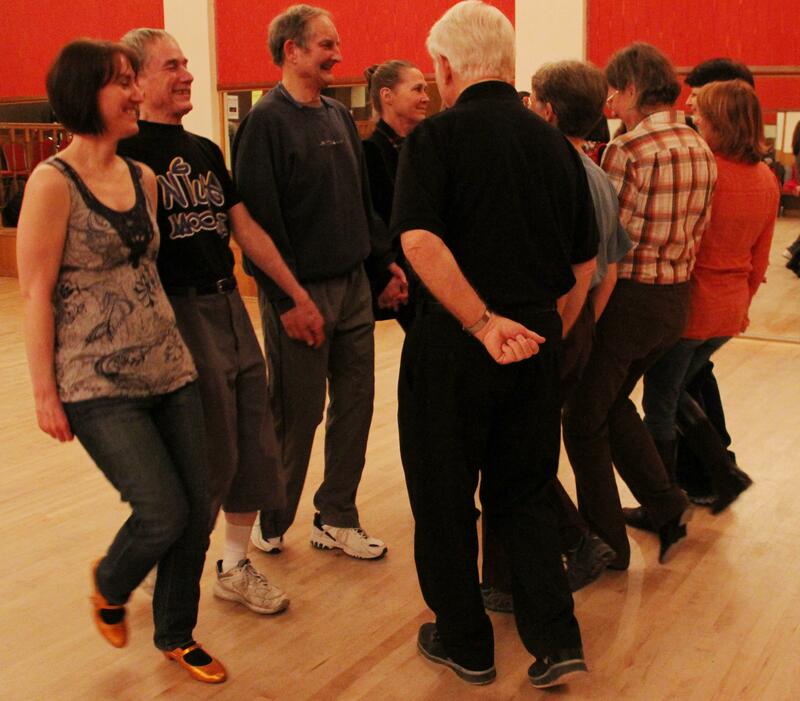 Join us from 7:30 (8:30 on class nights) to 10:30 for Balkan line dancing. 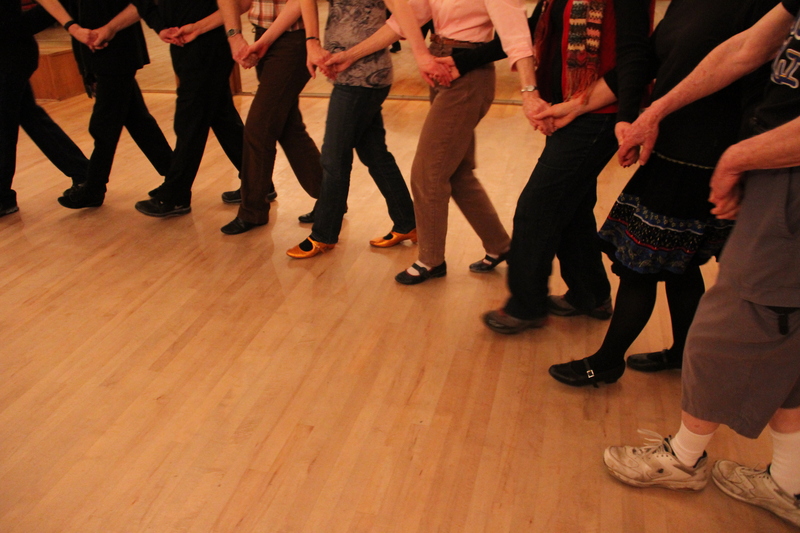 Dances are done in long lines, circles, and spirals holding hands, so no partner is required. Balkan countries include Bulgaria, Greece, Macedonia, Turkey, Serbia, Croatia, Romania, and Albania. An occasional dance from other countries beyond the Balkans may be played as well. The evening starts with easy and basic dances that everyone can participate in regardless of prior experience. Gradually the dances get more complex the later the evening gets. Our playlist for the night is made up of requests from all of us, the dancers. We have over 2500 tunes in our library. The suggested donation is $5 per night. There is often dance instruction at 7:30, which may have an additional charge. 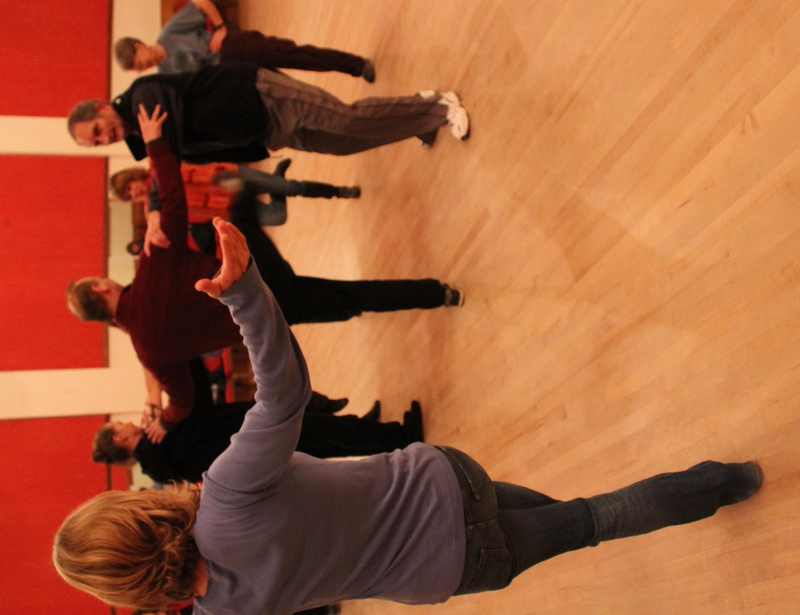 We offer both free informal lessons for party dances and regular classes for more intricate dances. There will not be dance instruction when there is a band and for some special events. See our Upcoming Events page to stay current! Subscribe To Our Weekly Newsletter!.